Occupational therapy is designed to restore functioning to people with disabilities through training and exercises as directed by the doctor, so that they can successfully negotiate daily tasks such as eating, washing and getting dressed. Empowering people to resume their normal routines through work is an important objective of occupational therapy. The Department of Occupational Therapy provides extensive training for therapists covering medical science and health care as well as empathy and compassion. Students also have the opportunity to develop a broader international outlook through a trip to the United States, a leader in occupational therapy. The Department of Occupational Therapy provides a comprehensive and well-resourced learning environment with a strong focus on holistic rehabilitation support. Students study medical science care and health care topics along with therapy techniques and complete an extensive clinical training component, while also developing communication skills and a sense of empathy for patients. Students also have the opportunity to travel to the United States, a leader in occupational therapy, and study the rapid internationalization of health care. Year 1 is spent learning the basics of the health care profession, particularly the science of rehabilitation, along with English language and IT literacy studies. In Year 2, students begin a comprehensive study of occupational therapy through extensive theoretical and practical training. They also learn about illness and disability to gain insight into the background of patients. In Year 3, students consolidate their studies of theory and techniques through clinical training. The optional overseas trip to view the health care system in the United States (also available in Year 4) cultivates an international outlook and understanding for practical skills. Year 4 consists mainly of clinical training to consolidate previous studies. Students hone their occupational therapy skills in a hospital environment and prepare for the national accreditation examination. The job of the occupational therapist is to help patients to overcome a physical or mental disability through vocational pursuits so that they can live their life and be an active participant in wider society. "Where hospitals are for treating illness and injury, occupational therapy is more client-focused" says Koga. "Our top priority is helping the client to achieve their personal goals. For example, if we have a client with depression who used to play the piano, assisting them to resume playing can help to bring back their confidence and self-esteem. Occupational therapy is like rehabilitation geared toward rediscovering the joy of life. Every client's situation is different, so it is important to find out as much as possible through conversations." In Mental State Evaluation, students study the COPM assessment scale and develop interviewing techniques by practicing on one other. This is one of the key attractions of occupational therapy. 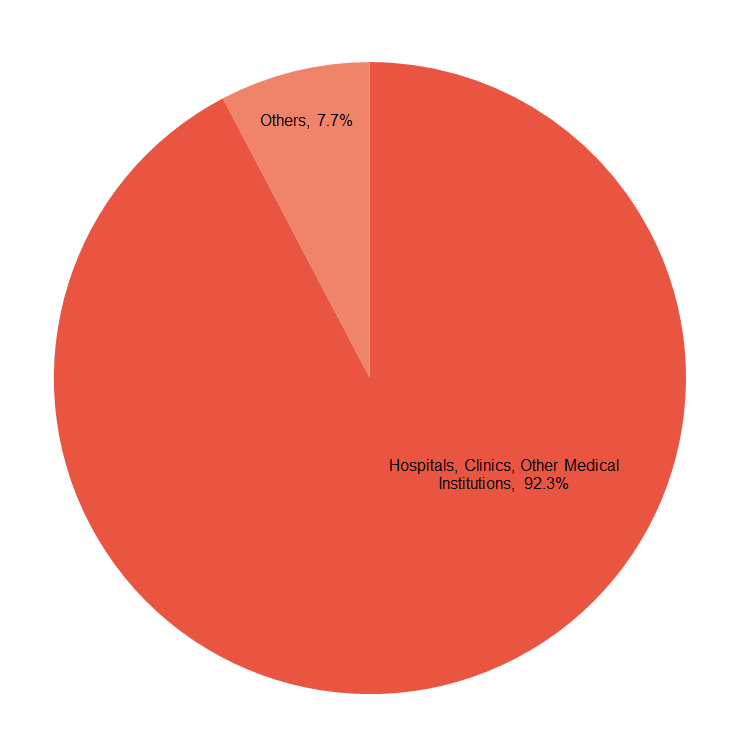 More than 80% of graduates go on to work at hospitals and other medical institutions.